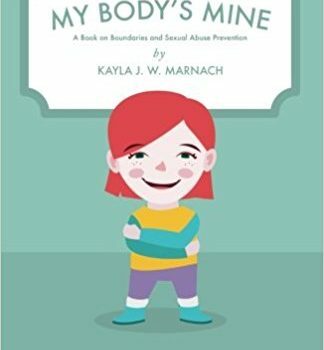 My Body’s Mine helps children learn they have the rights to their body. My Body’s Mine helps children learn they have the rights to their body. Told through rhyme from a child’s point of view this book on boundaries empowers each child to say no when others approach them in ways that make them uncomfortable. It also gives clear instructions on what to do if they are approached in an unwanted manner. The questions at the end of the book provides an easy transition for counselors and parents to open a discussion to prevent abuse or to further explore if abuse has occurred. One of the most difficult but important conversations we can have with our children is about their body. They need to understand that their body is theirs, respect and what is normal/not normal and to empower them to say no and go for help. A lot of the old practices of forcing children to give hugs and kisses to adults are now being re-examined as you are teaching your child that they have to do this and that they don’t have control over their bodies and the ability to say no when they feel uncomfortable. It is so incredibly important for children to be confident in their ability to say no and who they can go to for help if they need to. If you force them to do things like hugging people they don’t want to, it contradicts what you are teaching them about their body and confuses them. It doesn’t mean they have to be mean to family members and you as the parent can speak to family about what you are teaching your child so that they understand the reasoning behind your teachings. They also need to understand who is a safe adult and what is inappropriate touching. If we don’t take their concerns seriously, it may teach them that their emotions and feelings don’t matter. 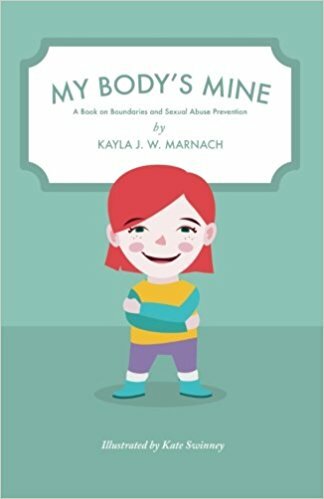 My Body’s Mine teaches children that their body is theirs and no one else’s in a catchy rhyme that is repeated throughout the book. In an appropriate manner it teaches children what is bad touching, when something feels wrong that they need to talk to an adult and that if someone says ‘don’t tell anyone’ that this is wrong. This is an excellent starter resource for parents and children to get the conversation rolling. You can purchase a copy of this book on Amazon. A native Texan, Kayla lives with her husband and three cats in Austin. Her two married daughters, along with her faith, have been an inspiration in many of her writings. She has been a guest speaker at elementary schools, women’s retreats, writer’s groups, and University of Texas. At the request of teachers and counselors, she has provided stories to broach difficult situations. Her passion is to empower and validate children, helping them know they are not alone in their feelings or circumstance, and ways to deal with it. When she is not writing she loves spending time with family and friends, read, scrapbook, and watch old movies. You can find her on her website. Disclosure: I received a copy of this book in order to facilitate this review. All opinions expressed are my own. This entry was posted in book review, childrens books.